1. Learning the course. 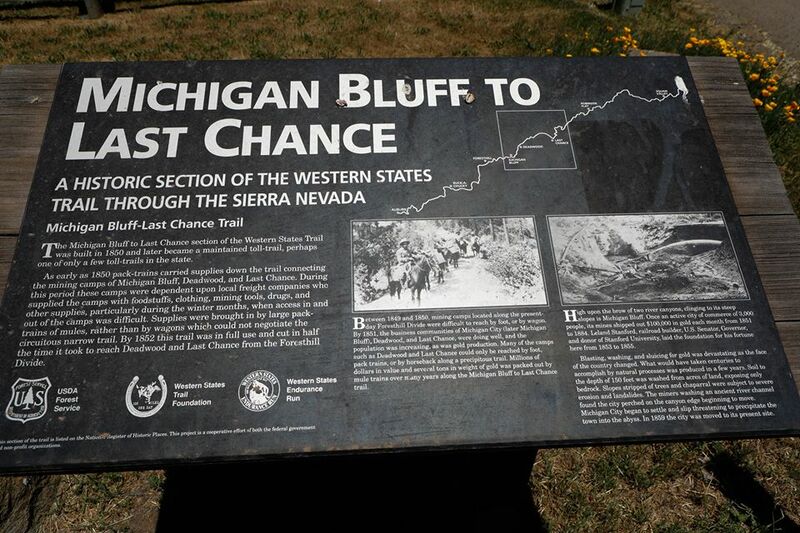 If you’re doing the race, this will give you a serious feel for the trail – the locations of some aid stations and landmarks, the often-rocky trails and general variety of terrain from smooth to sandy, the steepness and lengths of ups and downs, the water crossings, the elevation change, the dryness in the air, the lack of airflow in the canyons, and the heat. Also helpful for crew in learning about navigating to some aid stations. No description can equal being there. This was especially invaluable to a flatlander like me. 2. Getting to see the last 70 miles of the course in daylight. The really fast folks will mostly do that on race day, but many runners will be running through miles at night, and missing the sights. At the training camp you have plenty of time to stop to enjoy the scenery and take pictures. 3. Chatting with other runners, some who are course veterans who can offer wise advice, some are newbies (like me) with whom you can compare notes. This was invaluable, not only to get helpful tips, but in hearing stories of regular folks like me and getting inspired and psyched up for the race. Race director Craig Thornley was there if you wanted to ask him questions. 4. Trying multiple sets of gear and practicing nutrition. I wore different shoes each of the three days. I wore white arm sleeves for the first time to see if they helped or not. (Thumbs up, because they provide sun protection and I could soak them in water at creeks to keep myself cooler.) I practiced carrying a lot of water through the canyons to see how that felt. 5. The Trails in Motion Film Festival in Auburn Sunday evening, complete with celebrity spotting (see #10). 6. $140 for the Training Camp vs. $410 for the race. And no lottery. Yet. Anyone can do it. 7. You can pretend it’s your first “stage race” if you’ve never done one. I imagine this could be good training for a stage race. I wasn’t even sure I could run a step on Days 2 and 3 because my quads were so trashed. But the legs managed to respond. 8. This year we got to watch Run Steep Get High (Jamil Coury, Schuyler Hall, and Michael Carson) create videos on the fly (quite literally) all three days. You can see the videos on the Run Steep Get High YouTube channel. 9. At mile 78, you’re still tied with Kaci Lickteig and Jeff Browning! And no matter what, you can’t lose. No one DNF’s. 10. Celebrity spotting. I got my picture taken with a bunch of them. These included those mentioned above along with Magda Boulet, Elov Olsson, and Clare Gallagher. For about 20 minutes I ran with Wally Hessletine who offered thoughts on various parts of the course. Zach Bitter and Nicole Kalogeropoulos were manning the Altra tent. Tim Twietmeyer and Stephanie Howe Violett were working aid stations. (Tim brought his cougar, and I touched it!) Chris Mocko was at the film festival. Gunhild Swanson and Wally both combined the first two days into Day 1 for a 50+ mile day! On Day 3 I got on the bus, and Ian Sharman sat next to me. He gave me some advice on the course, and a tip for how to keep ice around my neck. We compared shoes and talked about other front runners. I was star struck all weekend. If these folks got tired of people asking for photos, they didn’t show it. They were happy, smiling, gracious, kind, and quick to engage in conversation and to answer questions. It’s been asked enough that it’s a cliche, but how many other sports allow you to compete and play alongside the best? Great reasons and fun to read. As someone who lives nearby, it’s wonderful to be able to participate, even if not entered in the race. The folks in my running circle don’t take for granted that we get to run and train on these trails: being able to participate in camp is a wonderful bonus. So. 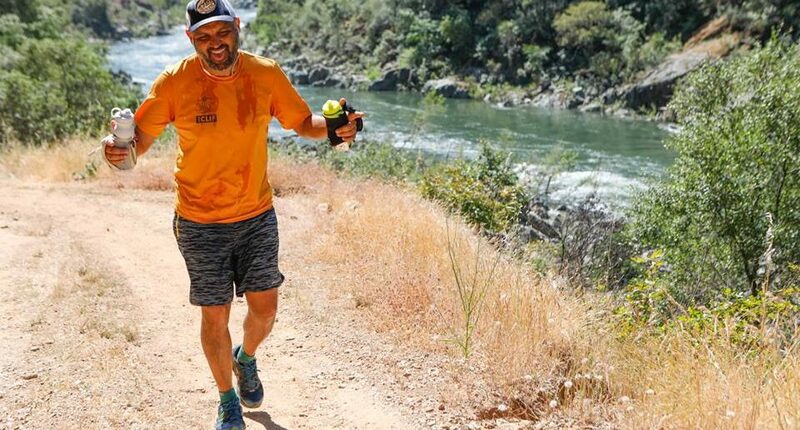 As someone who runs in the heat often, and sews his own bandanas (BY HAND, no less), what’s the tip provided by Ian Sharman if you don’t mind sharing? Have a great WS Experience and good luck! David, he felt the bandanas were too time consuming (not sure how they work). He uses a buff which he somehow quickly fills with ice and drapes around his neck. Not exactly sure on how that works either, to be honest. I don’t have a bandana but have buffs so need to play with it.